If you’re looking to make it as a full time Twitch streamer, you need to get donations set up. They’re not as reliable as subscriptions, but many streamers find them to be just as - if not more - lucrative. You would be surprised just how much little amounts of money can add up when you have even a handful of viewers on your stream. But, of course, to get that money, you’re going to have to get donations set up. When you are streaming, you are providing service. You are providing entertainment in the same way an orchestra or a busker would (but with more gaming and probably less class). And like a musician, you might get paid in several different ways. When you’re selling subscriptions, it’s like a ticket - everyone can stream the music, but only subscribers get to go to the venue. On the other hand, donations are more like what you’d get busking - it’s not much, but it’s nothing to scoff at, either. If you aren’t familiar, donations are a tip system for streamers. By clicking a link, a generous fan can use a donate button to offer you an (often small) amount of money while you’re streaming. These are a great income supplement to subscriptions. 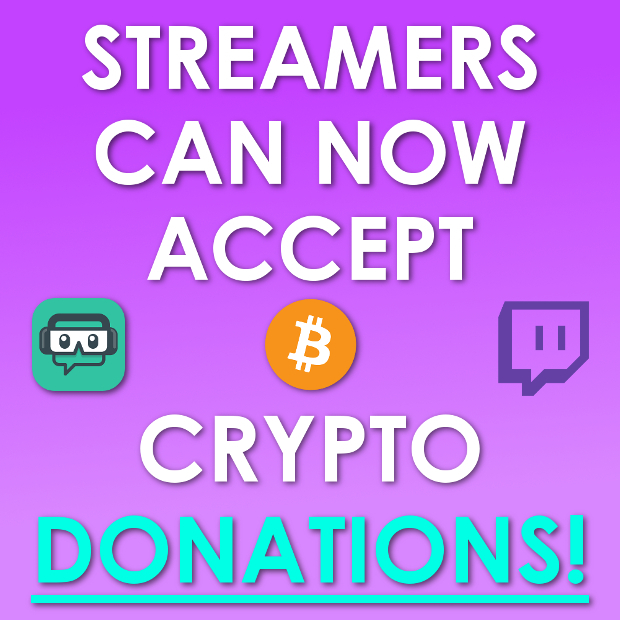 However, for many Twitch streamers, donations are much less about the amount of money that you’re getting, and much more about having another tool for community interaction. Interacting with chat when more than a few people are active can be hectic and difficult. There are simply too many voices in the crowd. Donations let a voice cut through to you, whether you have speech to text on or otherwise. Before you can get donations set up on your Twitch channel, there are a few things you should know. First, it’s important to note that donations are still taxable income. While the name might imply that they are gift, the IRS doesn’t see them the same way. Your donations should be treated as payment for services rendered, so you will need a way to keep track of the money that you’re making. Even if it’s in crypto. Speaking of which, you will need the accounts necessary to receive whatever payment you’re looking for. If you’re doing things through Bitcoin, you’ll need a wallet. If you prefer USD or whatever your local currency is, you’ll have to have a PayPal account ready. 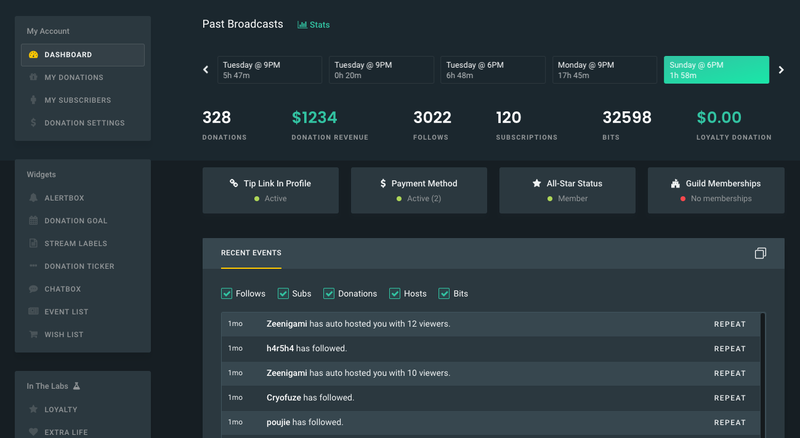 In any case, you’re likely to do a lot of your receiving through Streamlabs - so, you should have an account there, as well. 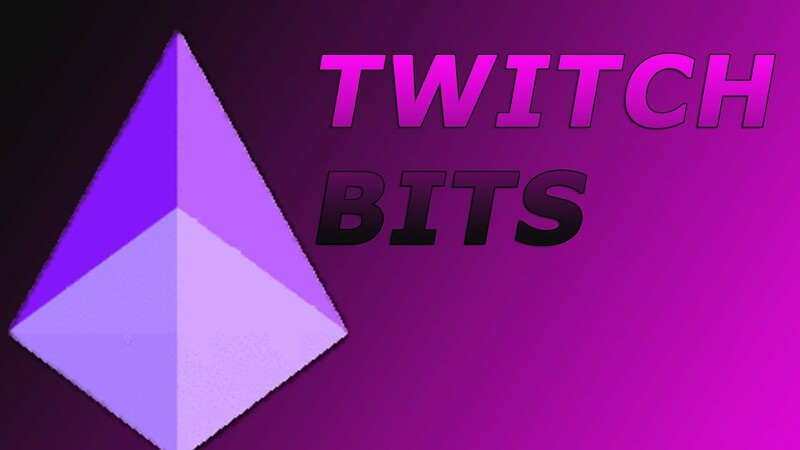 People are increasingly doing things though Twitch’s built-in Bits system, too, which you’ll need a Twitch account to participate in (though I assume you have that already). But as we’ve noted previously, you need to hit Affiliate status before you unlock Bits. You don’t need Affiliate status for the other types of donations, but that fact is rarely relevant. The amount of people that you see during your stream is directly proportional to both your Affiliate status and donation revenue. Once you’ve got, or if you already had, a Streamlabs account, you can pretty easily set up Donations. Head to their website, sign in, and open the Alert Box tab. There you’ll find a URL which you need to copy. Then proceed to your streaming service of type. Because of its popularity, we will assume that you’re using OBS, but this step doesn’t change much between Studio software. In your Studio software, you’ll want to add a Video Capture for a browser. In OBS, you do this by right-clicking Sources, then selecting Add -> CLR Browser. This allows StreamLabs to give you alerts when you receive a donation. With that set up, return to StreamLabs to edit your Donation settings. Under the Donation Settings tab on StreamLabs, you can set all of the things you need to. The most important is how you allow people to donate. You can choose any combination of cryptocurrencies, PayPal, and credit cards. You can also set a donation goal (we’ll talk more about that later) here, and grab a widget to keep it visible on screen. 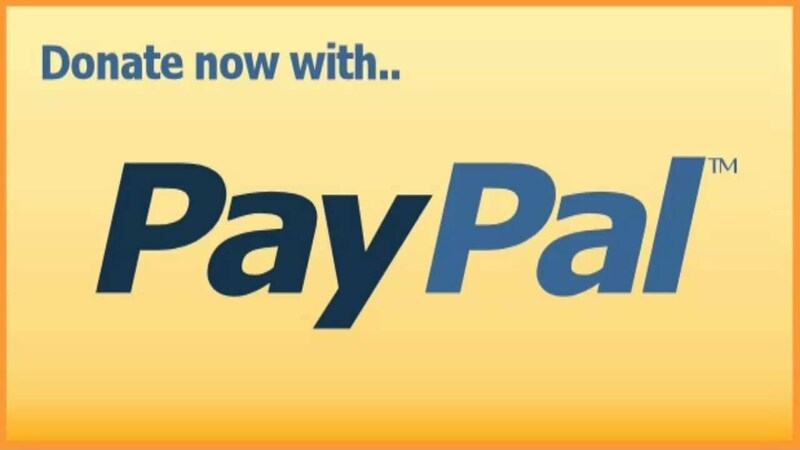 Most of the things that you’ll need for PayPal based donations are set up just by having an account. For example, donations through both StreamLabs and Twitch Bits are most often completed through PayPal. In theory, you should have a Business account on PayPal, but you’re not going to get audited on this. There are some minor concerns, which we’ll go over later. In addition to the aforementioned methods of donation through PayPal, you can also receive money by setting up a PayPal Donate Button. Too do so, you’ll need to start by opening up your profile on PayPal. Navigate to the Profile tab, and then Create New Buttons. Click Update next to the PayPal Buttons section, then Create New Buttons. Select Donations as the revenue type, then fill out the information for your stream. You can also change the button here by customizing it via Customize Text or Appearance. Whether you’ve decided to change the button or not, you’ll want to save the image as you’ll need it later for adding to your stream. To do so, find the code for your PayPal button, copy it, then return to Twitch. The PayPal button traditionally goes in your description (because there’s no other convenient place for it), so you’ll need to edit it in. You can do this from your Twitch profile. If you’re going to be accepting donations, there are a few things you need to be aware of. The most alarming is that, if you aren’t careful, you might end up releasing some personal information that you don’t want on the internet. This is the biggest reason to want a Business account on PayPal. If you’re setting up Donations through a PayPal button (or PayPal via StreamLabs) you will have your full name attached to any transaction. In both cases, you might see an email leak, as well. Luckily, a business account skips over most of this pain. Just make sure that when you set the button up, you look at the link that you’re sending out to the world before you go live with it. Even if you’re not having information leak, it’s easy to make mistakes in designing your landing pages. Remember that, in a majority of cases, simple is better. Also note that you are solely responsible for chargebacks. If you’re working through any non-Twitch vetted donation process, you will run the risk of legal issue if you are not able to refund someone. You can mostly handle this by simply having a “No Refund” clause, though this is not always legally binding. Additionally, Twitch gives you the onus for chargebacks until you’ve reached Partnership. 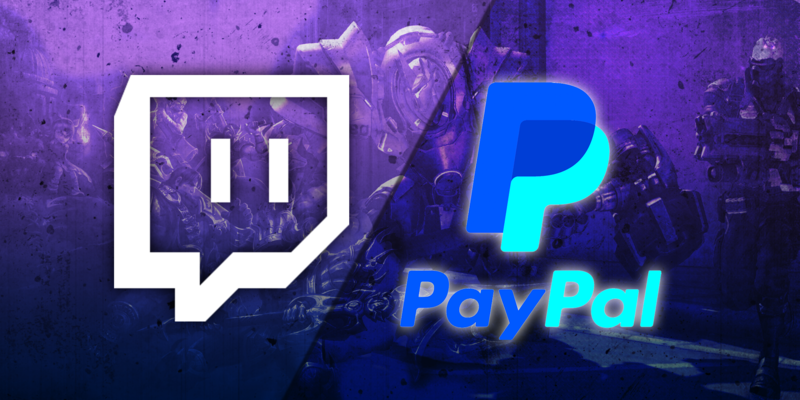 By the time you receive the money from Twitch chargebacks shouldn’t be an issue, but be aware. The only real way to prevent this is to have a plan for what you’ll do in case something happens. Often, you can handle it just by having a small fund - maybe $30 - that you can easily replenish as you get more and more donations. As we discussed in our article about hitting Affiliate in less than 30 days, there is only one secret to encouraging donations: make them worthwhile. While people are paying you for the majority of stream, they will need a little something to push them over the edge. Often, text to speech can do this, as many people will donate simply in an attempt to be funny. Reading donation messages out loud can achieve the same thing but even better, as it will make people feel a deeper connection to you. You might also consider offering an additional service for the price, as well. For example, if you’re playing a game with custom scenarios, you might offer to play someone’s scenario for a donation of $20. In Fortnite, you might try to fill your squad with people who donate $50 or more. In any case, if you engage with donors, you’ll get more donations.